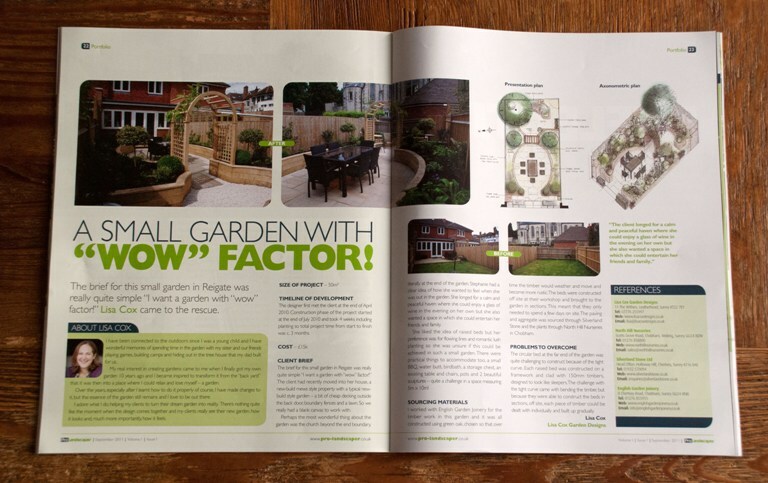 This month saw the launch of a new industry magazine called Pro Landscaper and I am very excited to tell you that one of my projects is featured in the very first copy! 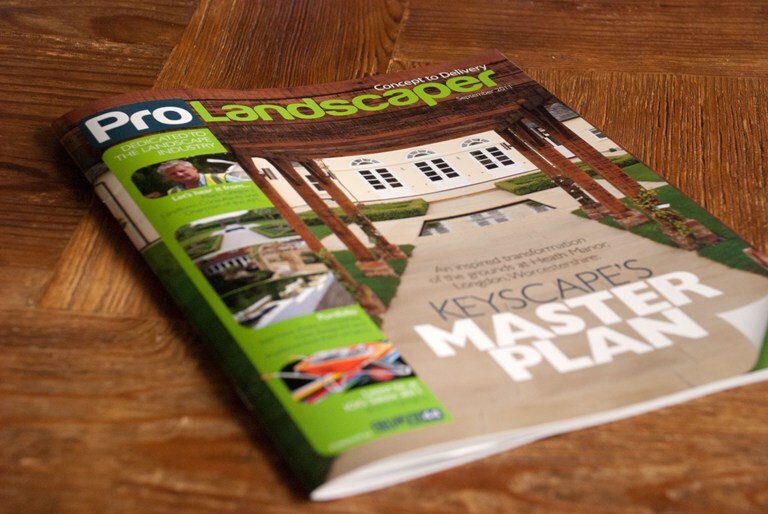 This new magazine is aimed at people and businesses within the landscape industry. It aims to provide information about the latest build techniques, updates on new products and materials and to showcase new design ideas. The feature about my project is included within the portfolio section of the magazine where they showcase the completed projects of designers, landscapers and design & build companies. This month there are interviews with leading landscapers, articles to help you run a more proftable business, industry news, a feature about an environmentally friendly garden lighting scheme, news of forthcoming industry events and profiles about new products on the market. It certainly promises to be a really good source of information. The Garden Design Journal is one of the industry magazines I receive as part of my membership to the Society of Garden Designers, but I think this magazine will bring a new dimension to the landscape industry and be a great source of information. Hi Lisa love your blog piece about the magazine, we have had some great feedback – and particularly about the Portfolio section which has gone down a storm! We hope all our readers will enjoy the next issue out at the beginning of October where there will be more along the same lines plus some extra features too. Keep in touch, Lisa. ps if you would like another couple of issues of the September issue, let me know and I get them out to you.